Open living spaces and extraordinarily spacious homes or courtrooms or commercial spaces are the growing trends. And of course, these large spaces require tiles which are extra large. However, there are some homeowners and business owners who are opting for bigger, lavish bathrooms. And in order to maximize the look and feel of such extravagant spaces, we have come up with a special, exclusive collection of extra large or XL bathroom tiles. Perfectly suited for large bathrooms or wet rooms in homes, hotels, airports, offices, theaters or any other commercial spaces, these extra large bathroom tiles do not sacrifice beauty for utility. Instead, they have a warmth and character of their own and will mimic the look of opulence and sophistication in the setting. With an extremely refined look and wonderful finish, our selection of extra large format tiles for bathrooms replicate the charm and persona on a grand scale. Available in a range of styles, shapes, colors, textures and sizes, our XL format tiles are highly flexible and are ideal for modern, traditional and contemporary spaces. They are simple yet stylish, and give you enough room to work your creativity on. Whether you’re looking to install your entire floor or wall with large tiles or just want to use it in certain spaces or patches for contrast and durability, you will find the right tiles with the most amazing and standout surfaces and patterns. Our extra large bathroom tiles are heavy yet easy to install and can be easily cleaned and maintained. They make use of our advanced digital printing technology ensuring a smooth finish and are manufactured using durable material which will stand up to daily wear and tear. 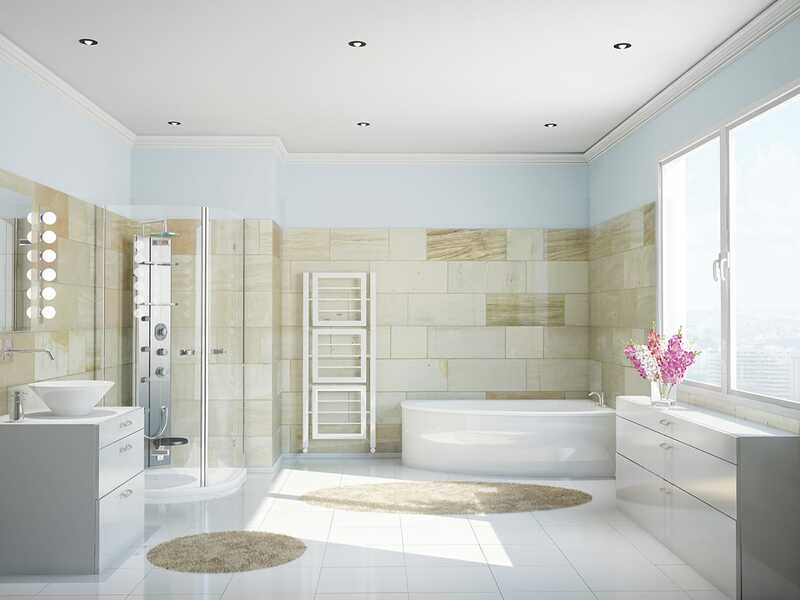 If you have a big bathroom space, then these tiles are the most suited and logical options you can pursue. They are cost effective and extremely efficient when it comes to creating a cohesive home design. Extra large format tiles are now increasingly becoming a norm due to the evolution and preference of large spaces. They adapt to new spacious visual aesthetic easily and due to their increased durability and strength, they are now becoming a preferred choice as they have a wonderful vibe and make a grand statement. So, if you’re looking for a charming yet gritty space, then our XL format bathroom tiles are all you need.